DAEMON Tools Ultra is the strongest, fastest product that genuinely works with images. 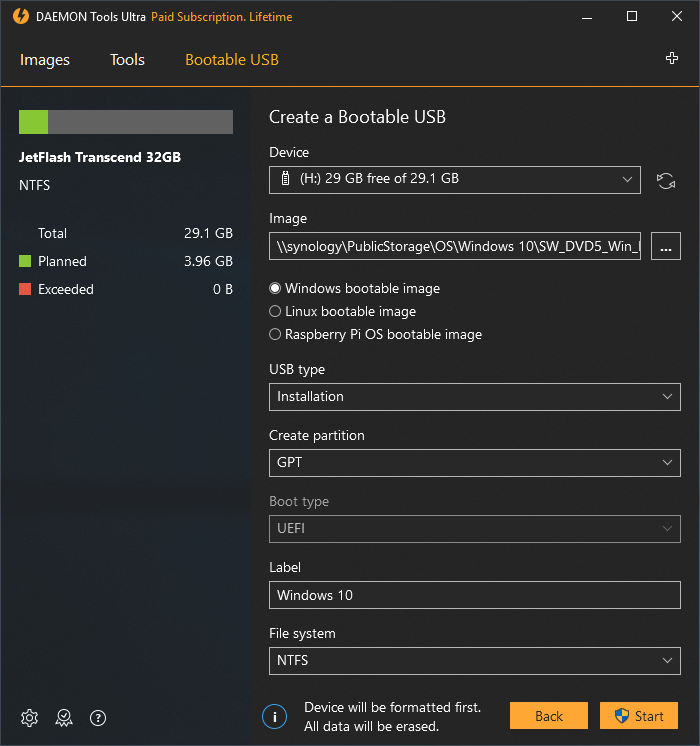 Since forever our software allows you to create bootable USB for Linux and Windows, and this feature comes in hand very often. Another useful feature that was added to the latest release is Windows To Go creator wizard: it permits to make a portable Windows 10 system on a Hard Drive. A perfect solution for software testing and personal usage of workspace! Let’s see, and how exactly you can tune and complete all-the-above operations. Wait till the process is finished, and you have your bootable USB for Windows 10 ready to use. Easy-peasy! Press Start and wait till the process is finished, and your bootable USB for Linux is ready-steady! Windows To Go creator wizard: Why and how to use? First of all, we need to make it clear, how exactly Windows 10 live USB comes in hand. This format of portable system is great for troubleshooting, for making presentations, or simply running your own personal workspace anywhere you need. That’s not a rocket science, since you can easily do it with DAEMON Tools Ultra! Check the Windows To Go requirements and follow the steps from our how-to. How to use Windows To Go creator wizard? After a few minutes, Windows 10 Live USB will be ready. Note that Windows To Go creation may take a long time depending on the device speed. 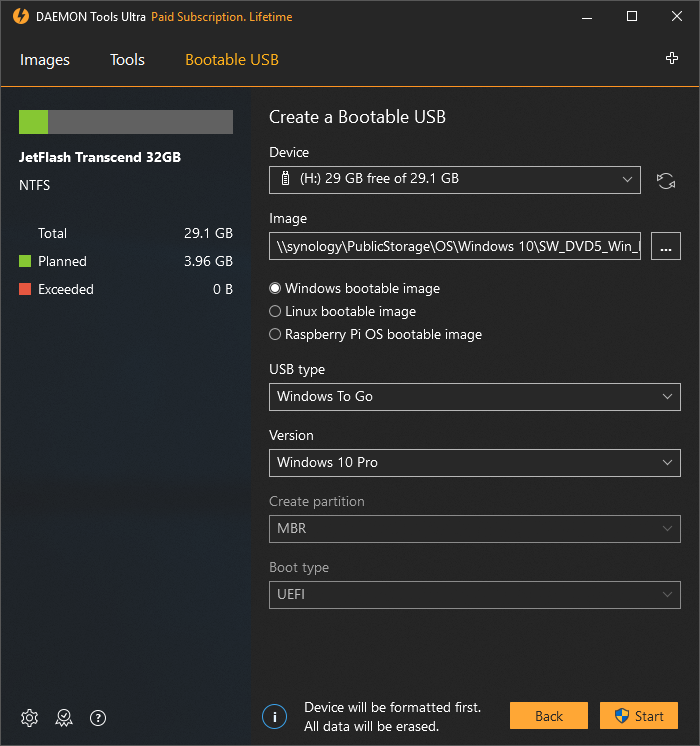 Hope this post solved all your questions about how to make a bootable USB for Windows 10 and Windows 10 Live USB. Just in case you need to clarify something, contact us in comments below or via the support form.